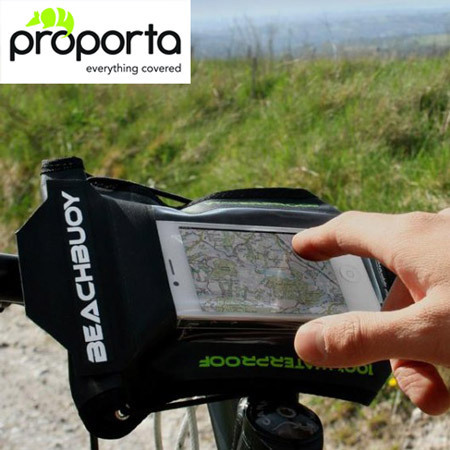 The BeachBuoy Bike Mounted waterproof phone case is a 100% waterproof phone case that allows you to use your iPhone 5 or other 5" smartphone while sealed within it and mounted onto your bicycle handlebars. With the summer we've been having I was needing a 100% waterproof cover for my phone and this is just what I was looking for. Effective and easy to use. I ordered this for my dad who does a lot of cycling. Initially came without the foam pad but used mobile fun's hassle free return service. This product is for devices smaller than 4.8". so not suitable for HTC One M8 or One X. Rather than send it back I cut out the foam pad (or fashion your own). 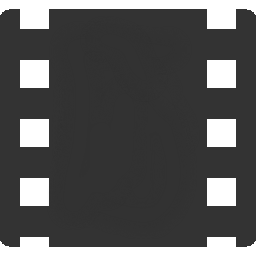 One other criticism is the window is off centre. Seal and quality look good though. 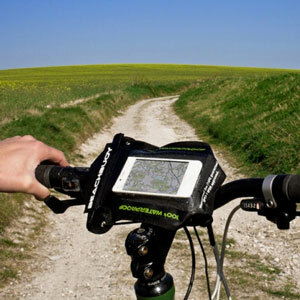 The BeachBuoy Bike Mounted waterproof phone case is a 100% waterproof phone case that allows you to use your touchscreen phone while sealed inside it, mounted onto your bicycle handlebars. With the BikeMount, you can now use your smartphone's GPS and bike apps when riding, so there's no need to stop and check your route every five minutes. 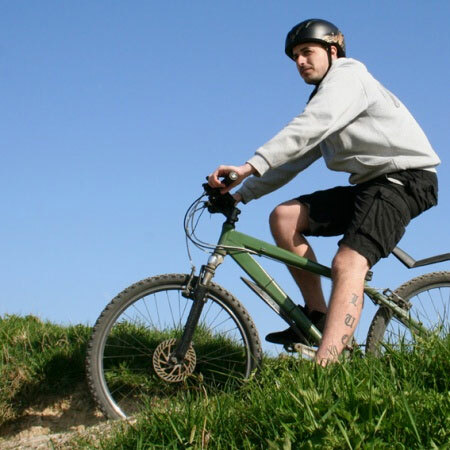 With four eyelets, a bungee cord and some toggles you can quickly and easily strap your BeachBuoy BikeMount onto the handlebars of your bike – stay out of the shed as no tools are required. A clever foam insert ensures that whatever you decide to put inside it does not move around or slip, making sure it's easy for you to safely use your phone and any bike apps on two wheels. 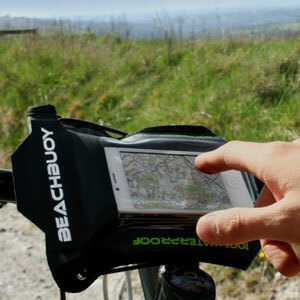 The BeachBuoy BikeMount waterproof phone cover is guaranteed to be 100% waterproof up to 5 metres/16 feet. These waterproof phone cases have been tested and approved by the British Standards Institute. 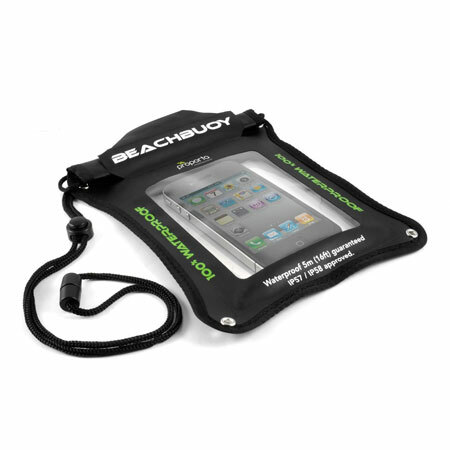 Designed for use with the iPhone 5, this Proporta BeachBuoy is also ideal for other 5" smartphone handsets such as the Samsung Galaxy S4, HTC One and BlackBerry Z10. The case measures 145 x 115 mm which make it easy to insert and remove most devices from the case, and all buttons remain accessible whilst your device is protected. Includes 4x eyelets, bungee cord, foam insert and toggles.